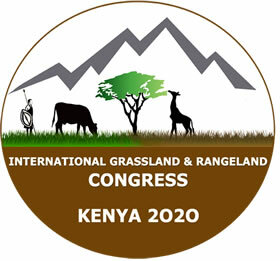 The National Organizing Committee of the Joint International Grasslands Congress and International Rangelands Congress invite abstracts for panels, papers and posters to be presented at this global conference, to be held in Nairobi, Kenya from 25 to 30 October 2020. The conference shall present a platform to share cutting edge science and practices in management of the planets’ grasslands and rangelands and offer the participants the opportunity to experience the best from the Eastern African savannas. For more information view or download the Second Call for Panels, Papers and Posters. To submit an abstract for a paper or poster or a proposal for a concurrent panel session, click here. Deadline for submission of proposals for concurrent panels: 1 October 2019. Deadline for submission of abstracts for posters or oral presentations: 15 November 2019.